A value statement isn’t some kind of jargon speak for “what we think matters”. It’s a statement of what your company is, what it stands for, and what everyone can expect from it. It’s the “soul” of your team. Whether you need to unite your team around a core set of ideals, show potential recruits what to expect and how to act or resonate with your core audience, these values are an essential part of any coherent company. Without defining them everyone will be working on their own assumptions. So, how do you create a value statement that’s effective, concise, direct and, most importantly, accurately reflects your company? To answer that, let’s dive straight in. The term “value statement” is pretty self-explanatory. It’s a message which conveys the values and priorities of the company, organization or team it represents. This lets your customers and staff know what’s important to your business and the kind of culture it has. That’s the real magic of a value statement – it can be used internally and externally. It’s both a guideline for operations and a way of marketing to your core audience. Still, I’ll be the first to admit that “value statement” sounds a little too close to being marketing jargon for comfort. What’s really important is that it’s something useful that is distinct and easily identifiable. To help keep it distinct, you need to know how it differs from similar aspects like your mission and vision statements. Don’t worry, we won’t get lost in the terminology. While it sounds like buzzword city, value statements aren’t the same as mission statements and vision statements. Treating them as such will only weaken the impact of the message (at best) or alienate the audience entirely (at worst). The value statement should show what the company believes in. It’s the backbone which can be referred back to as context for what to do next, how to act, and so on. Think of it as a set of guidelines which demonstrate the “soul” of the company to whoever reads it. 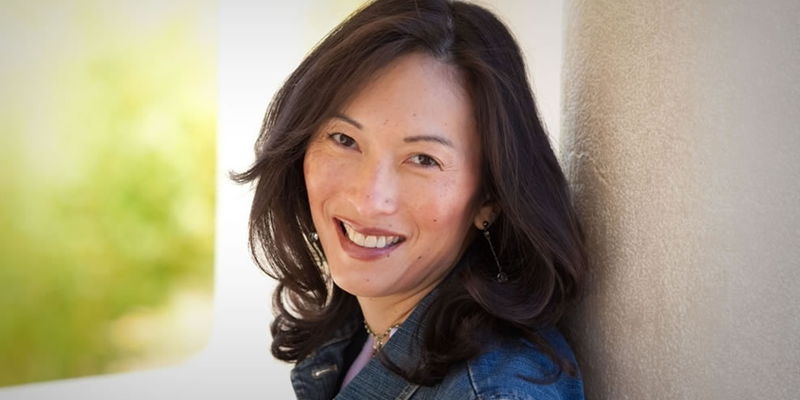 Mission statements are more action-oriented and tell why the company exists. These state what the company aims to achieve in practice, usually in reference to the short-term. It’s not interested in the overall goal but, instead, on the function the team behind it serves. 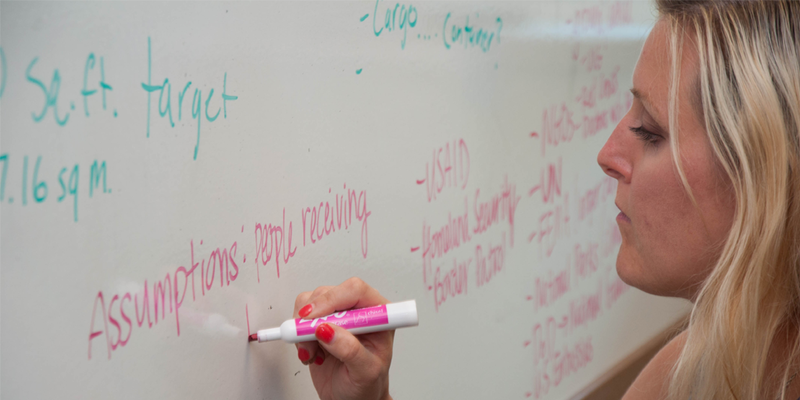 Vision statements serve to tell what the company wants to achieve. The easiest way to separate this from the other statements is to take the mission statement and think about what goal this serves. Identify where the company wants to eventually be and how it wants to change the sector is resides in (or even society in general). It’s all well and good knowing what a value statement is but why on earth do you need one in the first place? Surely it’s just another thing that can sit on the back burner while you focus on the important things, like how to grow your business? While a value statement isn’t necessary to have to form a successful business there are a couple of powerful benefits which make the path to lasting success much easy to maintain. A value statement shows what a company prioritizes and deems important. If done well it can also demonstrate some of the personality in the culture to go with the brand name. This can be used as an anchor across almost every aspect of the company. 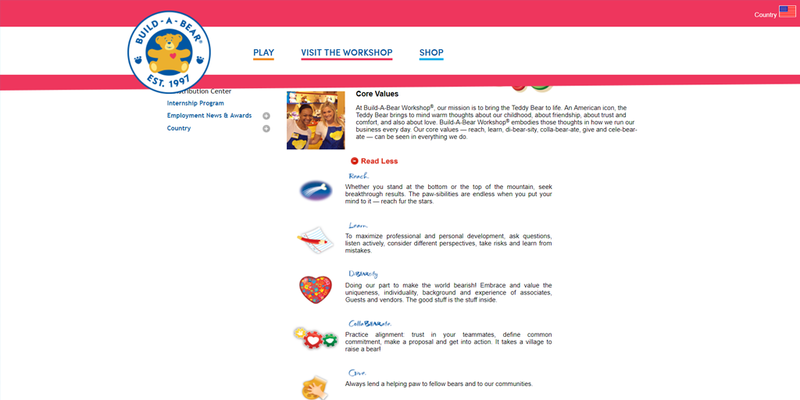 Want to give your team something to unite around and frame how they interact with each other? Refer them to the value statement. Trying to give potential recruits a sense of the company culture they’ll be walking into and what will be expected of them? Show off the value statement. Looking for an easy way to resonate with your core audience by showing that you care about the same things they do? Say it with me now – use the value statement. Literally anything which could be affected by the priorities and attitude of the company can be made easier for new and old employees alike by just having the values to hand to refer back to. This prevents bad habits from forming and helps to create a united front to customers and team members, making it easier for them to remember and associate with you. Not to mention that the values can be changed if you need to pivot or something isn’t working out. This, in turn, gives a new or altered set of guidelines which any future decisions can be made with reference to. Even if “need” is a strong word, every company would certainly benefit from having a value statement. It’s not required by any means but the context this gives to the rest of your operations is incredibly useful. The age of a company doesn’t affect the need for a value statement either – it can always be changed to reflect new values and focuses. Doing this too often (or completely overhauling the values) might create a disconnect with customers and employees but, after a grace period, everything should adapt accordingly. For example, a small business that’s recently been set up might have values that reflect the priorities of the founder. This helps carve out an identity for the brand and convey how new employees are expected to act. Having a set of values to center your actions around is an easy way to make sure you’re creating a coherent and consistent culture at this stage. Once the business has grown the values could be changed to cater more to its target audience. The core brand image and culture has already been established so there’s less of a need to enforce that through its value statement and priorities are likely to have shifted now that a decent size has been reached. This doesn’t mean the statement becomes useless though; instead, it can be edited to refocus on resonating with the company’s target audience and displayed in a more public-facing location. People who see it can then relate to the values and get an easy sense of why they might want to use that brand. Whether it’s worded too vaguely or displayed in the wrong place, a bad value statement won’t do anything except waste the time of whoever writes or reads it. Value statements are, thankfully, easy to plan. The difficult part comes in getting all of the relevant parties together. Since it affects almost every department in your company, a meeting needs to be set up with everyone relevant to the final product. Department heads, managers, stakeholders and more should all be contacted and a meeting set up to discuss what will effectively be the “soul” of the company from here on out. Once the meeting’s underway it’s time to brainstorm. 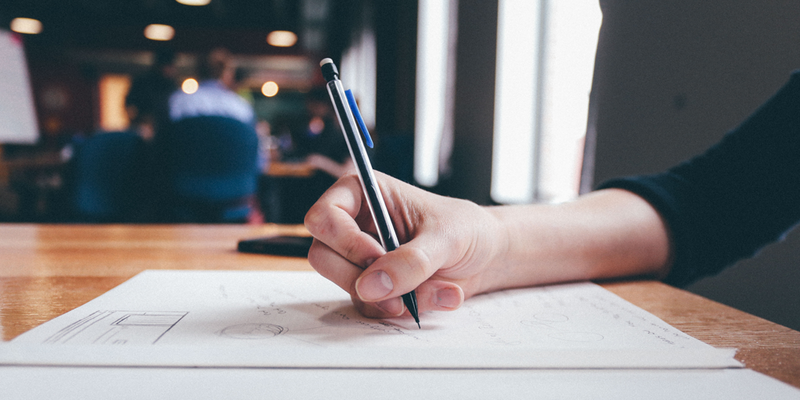 Jot down ideas for what each team member thinks is important to the company and the attitude they want to take. Examine the company culture you currently have and discuss whether it’s something you want to change through the value statement. Look at the value statements of other companies for inspiration (just be sure not to copy them). Most importantly, decide what makes you different and what your core beliefs and values are. 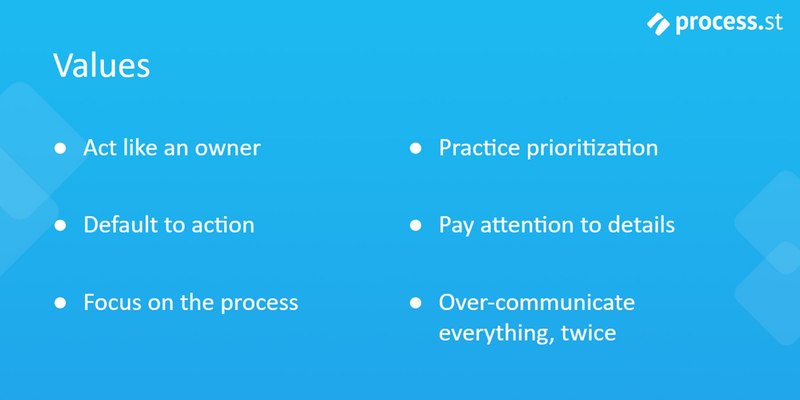 Rank each in terms of importance to your organization and assess how accurate each of these is to how you currently work and act. Once you have this list of values and beliefs sorted, isolate the top 10 to use as potential candidates in your final statement. The main danger when writing your statement is including values which are too generic or vague. This makes the entire thing feel flimsy and unfocused, which defeats the point of having it as a central pillar of your company and culture. This tells you nothing about what the company is, why they stand out or how they conduct themselves differently to any other company. It’s forgettable to potential customers and too vague to serve as guidelines for the team. “1. Ethical (or integrity) – Every company should operate ethically and with integrity – and by stating this concept as one of your core values, you raise the question of why you have to point it out. 3. Authentic – You can’t claim to be authentic or that you want to be – you must simply be authentic. And your organization will be authentic if its leaders actually act and communicate in authentic ways. 4. Fun – Stating that you want your organization to embrace fun makes it seem like you’re trying too hard. Just like a teenager who claims to be cool, if you have to say it, you’re probably not. Aside from that, the rule is pretty simple; don’t state anything another company could say and carry out in the same way. Your values need to reflect your company, not just any old business. If they don’t, the statement will either be so boring that it will get ignored or so generic that it will be immediately forgotten. The tone, contents, and intended audience of the statement all greatly affect how long the final product should probably be to be most effective. Most importantly, you should be conveying all of the vital qualities and priorities identified in your meeting with key company figures. The key is doing so without providing so much detail or so many items that the whole thing is skimmed over instead of actually read. The shorter and more concise you can be, the better. For this reason, anywhere between one and seven key values is a good amount to convey (again, depending on the detail of each). There is, however, a little leeway if you’re addressing employees more than customers. This means that your primary audience has to read the values set out in order to perform effectively and gel with the rest of their team, so holding their attention for more than a few seconds isn’t as much of a battle. As long as you cover your core values and priorities, you should be grand. There’s isn’t a general rule for where to display your value statement, even though the location does indeed matter. Instead, it largely depends on who your statement is targeted at and what it’s designed to convey. We’ll see some great examples of this further down in this post, although the only steadfast rule is that it pays to have them in a prominent position that’s easy to find and see. If you’re trying to unite your employees more than appeal to your core audience, perhaps display it on your careers page and in private company offices or chat rooms. If the opposite, feature it high up on your homepage (second only to vital marketing material) to get the point across as quickly as possible. 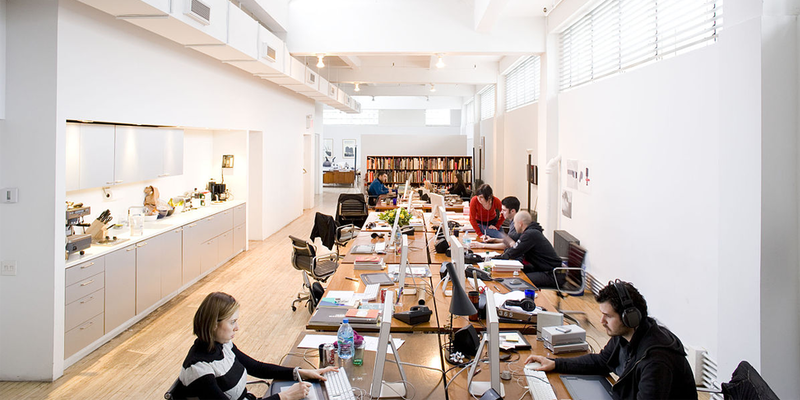 Here at Process Street, we know just how important it is to have a coherent company culture. Unfortunately, we also know first-hand how difficult it can be to create it. Our entire team is made up of remote workers – we don’t have an office set up because we have employees in England, the US, India, the Philippines, Spain, Latvia, and more. While it has its benefits, this made it difficult to stop sub-cultures forming from our individual teams instead of a central, coherent culture. That’s where our value statement came in. Currently only for internal use, this set of values helped to unite our team around a common cause and influence how every department formed their regular documented processes. Combined, these show our focus on making the most of every moment by working on what’s important and making sure that it can be repeated reliably. It’s allowed us to overcome the issues of being remote-only by drilling in the importance of communication, prioritizing work effectively, and taking action instead of sitting around waiting for confirmation. These values may well shift further down the line but, for now, they serve their purpose well since we’re not looking to use them as prominent marketing material. Facebook is an absolute powerhouse, and they didn’t become so by being unfocused. 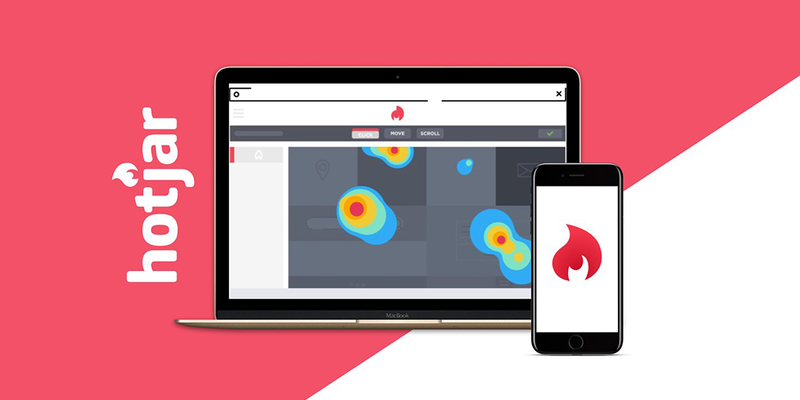 Their values directly reflect the company’s drive to create social value and the need to take risks in order to create something which will continue to be so successful. 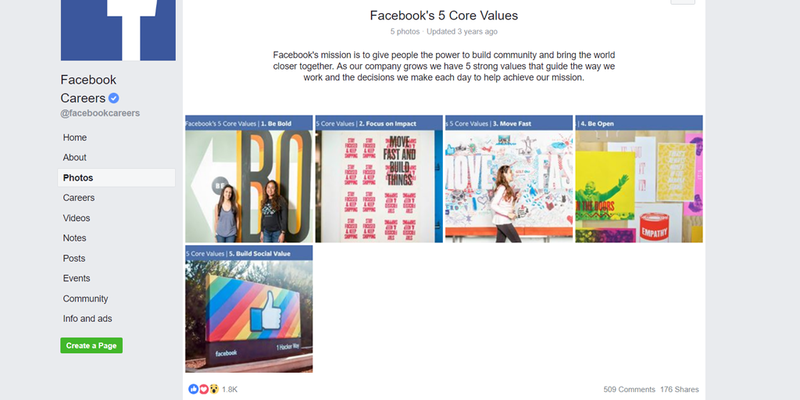 This is another set of values almost entirely catered to their employees and potential hires, as it’s located in an album on their careers page. They’re simple enough for their team to remember and focus on maintaining while clearing up any confusion hopeful candidates might have about the culture and expectations they’re seeking to join. From baby products and shampoo to floor cleaner and laundry detergent, Proctor and Gamble own a huge number of titanic brands (mostly making consumer goods). With such a wide spread, it’s easy to imagine their value statement being vague or overly bloated in an attempt to unite all of their endeavors. That’s not the case at all. 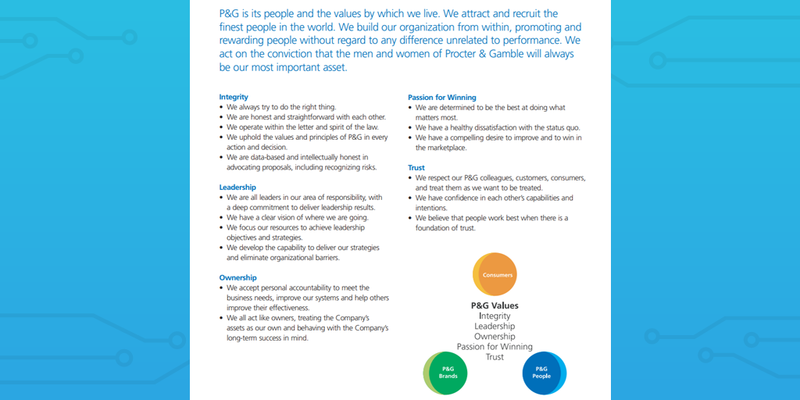 Proctor and Gamble use their values to take a hard focus on responsibility, integrity, reliability, and a drive to do better. While not particularly unique on their own, these combine to give a rock-solid idea of P&G as a reliable brand which doesn’t abuse its position or neglect their customers. As shown below, all of these values are expanded upon in several bullet points. While this would usually bloat the statement to the point where any employee or audience would tune out, it’s important to remember the scope of P&G as a company and where their values are located. P&G is huge, owning several (relatively) smaller brands which sell the actual consumer products. Not only that, the values are housed on their website, which itself will only be visited by those interested in the actions of P&G as the guiding body of the better-known brands it owns. Basically, the only people who will see P&Gs values are those who go looking for them. Those who go looking will probably only be interested in whether P&G is competitive and profitable and/or ethical in their conduct, all of which are addressed in their values. Don’t believe me? The first thing you see on their home page is a link to their Citizenship Reports, which include topics like their environmental impact, stance on gender equality, and more. P&G care about their public image. Their values are part of their efforts to make sure it’s a good one. Who doesn’t love a good, horrible, un-bear-able pun? No, I’m not sorry. In any case, Build-A-Bear takes the idea of using values to show recruits what they’re in for and begin onboarding before they join up and extend it to include their brand’s personality. Think about it; most of the examples so far that are aimed at potential employees have been informational and pleasant in tone, but a little lacking in terms of personality. Build-A-Bear, meanwhile, go all-out in an attempt to inspire the sense of childlike fun that they want their employees to have. Once again, we know that these values are specifically aimed at potential recruits due to their location – they’re hosted on the “Why You Should Become A Bear” page of their careers website. So far we’ve had examples of value statements which work well. They portray a consistent image of the company which is in line with their goals and public perception thanks to them upkeeping those values in practice. After the scandals, high-level resignations, and general negative press surrounding Uber throughout 2017 their new CEO needed to kick things off on a good note. He needed to reassure their customers that they had turned over a new leaf, that things would be better, and that they could be trusted now that the mess was behind them. He needed to present (and change) Uber to be consistent, reliable, and generally a more respectable company. As such, these were the values he published on their company blog on November 7th, 2017, albeit calling them “cultural norms” instead of values. We do the right thing. Period. We value ideas over hierarchy. We make big bold bets. These values would have worked – they have a sense of responsibility and ethical integrity about them while not sacrificing the company’s desire to expand (and thus create more value for stakeholders). Unfortunately for Uber, the scandals weren’t finished. Just 15 days later the news broke that the current CEO knew of a previous data leak which he had kept from customers for more than two months. So much for “doing the right thing”. While the lasting impact is arguable, there’s no question that this further damaged Uber’s brand appeal and made them seem even more untrustworthy than before. That’s why it’s vital to set out a value statement that isn’t just for show – if you don’t live up to it, you’ll either look like a scam artist or just plain incompetent. 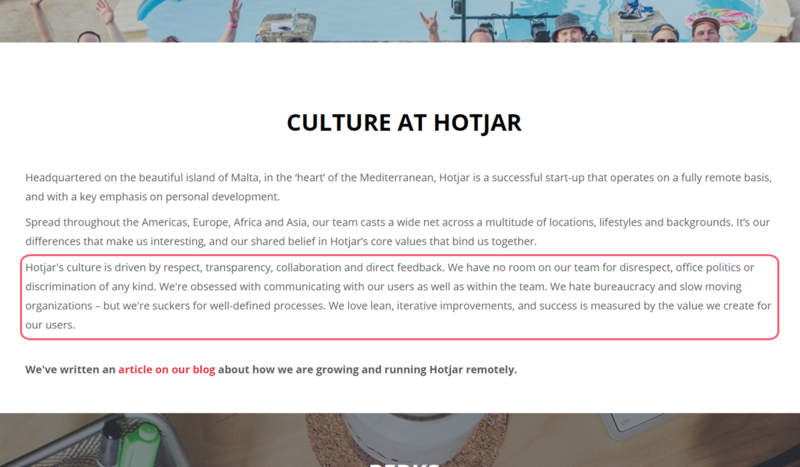 To round off our value statement examples with another (largely) positive we turn to Hotjar. This is another employee-focused value statement, except we’ve got a little more to unpack due to the length of the statement. There’s no elegant way to bullet point this, so check out the quote below for the value statement itself. Written in an almost conversational tone, this is a great way to set up potential recruits with the knowledge of the culture and expectations that will come with it. They move fast and with purpose (by documenting their processes and using continuous improvement) while setting a healthy atmosphere with a zero-tolerance policy towards discrimination and office politics. However, there are two main issues with this approach. The first is the wording. While strong when talking about what they won’t tolerate, the language used elsewhere is pretty generic and forgettable. It serves its purpose but there’s little unique or interesting about their description or even what they’re saying. This does, however, matter less as it’s addressed to new recruits who will need to pay attention anyway – they’re using it to inform, not market. Therein lies the second problem, and it’s one which many of these examples share. There’s next to no attempt to use their value statement as a way of attracting their main audience. While it’s difficult to adapt values to both inform employees (potential and existing) and serve as marketing, it’s a huge missed opportunity to literally only display them on a careers page. Even if they’re aimed at employees, target audiences will likely find the values appealing due to your values lining up with how your team is supposed to interact with them. 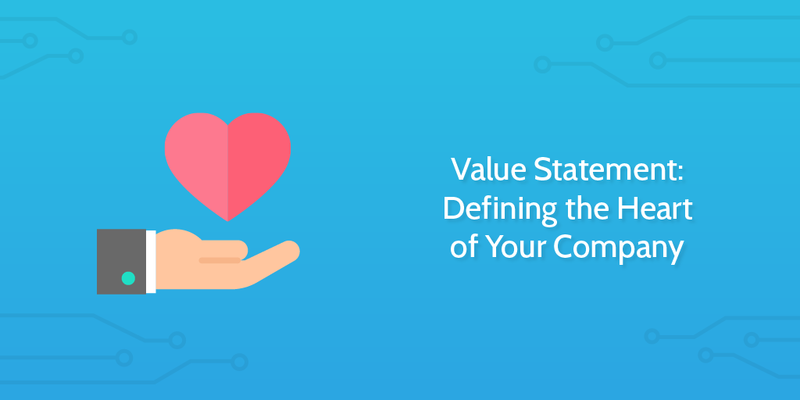 As long as they’re accurate and enforced, value statements provide a core which can influence and unite your entire company’s operations. To that end, you also need to consider how to deal with breaches of these values. While a minor offense shouldn’t result in termination, take time to think about the impact that deviations will have on how these values are perceived. Have a meeting with your team. Make sure everyone knows what these values mean and how to apply them. 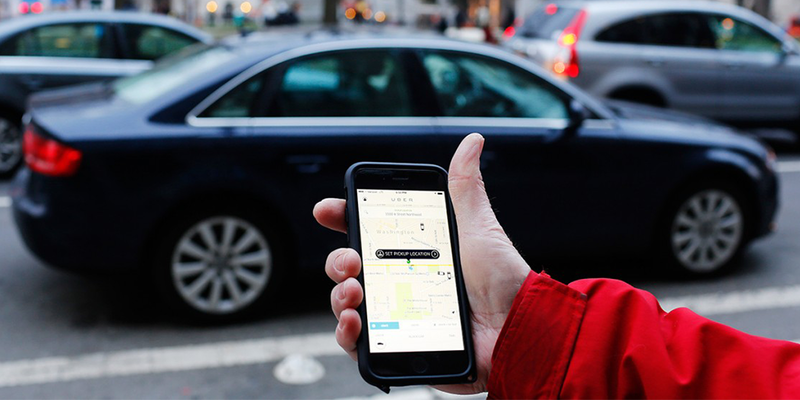 Don’t let yourself follow the same example as Uber. What are your company values and how do you use them? Let me know in the comments below. 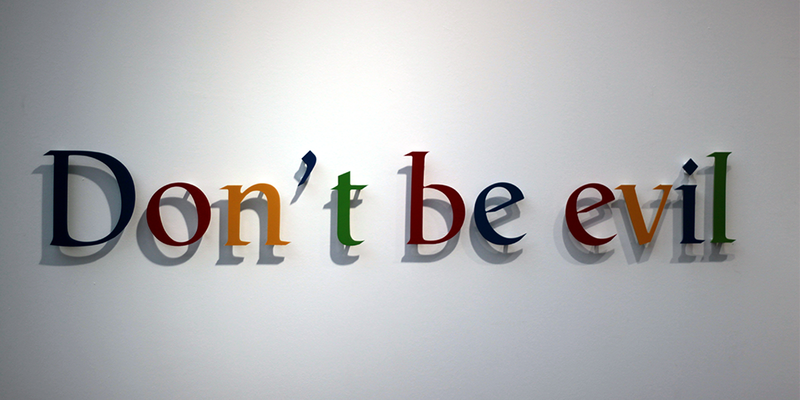 Great article with the exception that the two key examples, Google and Facebook have recently admitted to lying about their terms of service and handing over carte-blanche access to customer data those customers had been given the impression was limited in use and to be handled completely differently, based on the terms of service, than was the reality in practice. 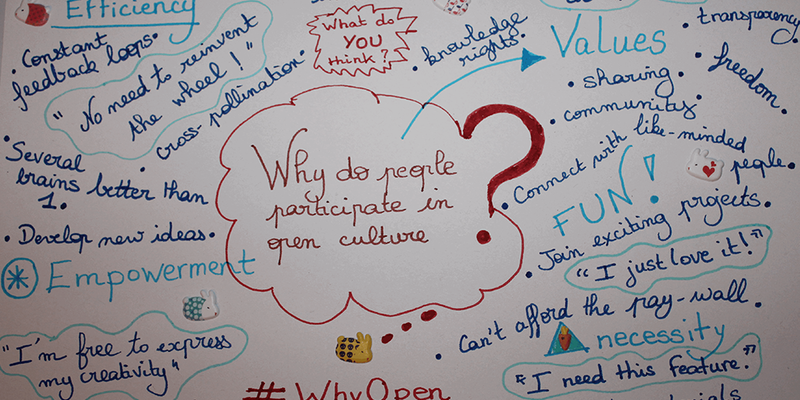 Culture in a company – that is the most important for recruits and even for customers.